throwing up in an IKEA bag: Éirinn go Brách! It's official. Q and I are going to Ireland to visit the famed N8 & MT in March. We got the tickets last night, and for that price, there's no turning back now. 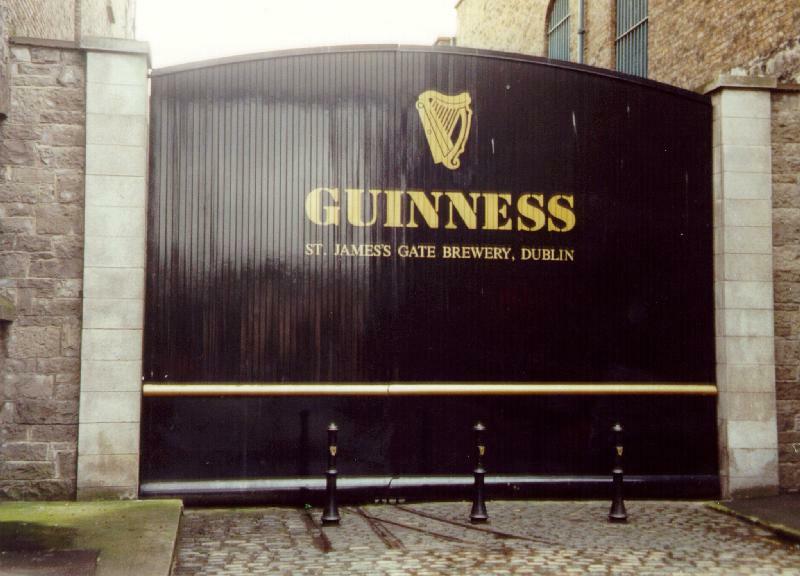 I expect to visit the Guinness Brewery at least once, being a huge fan/connoisseur of beer. This will fit perfectly with our pact to scout out each city we visit for the local brew houses. I got a travel book today, but we don't plan on making many permanent decisions until we get over there. Q and I function best when there are no firm plans and we're able to mosey about as we please. The best trip we've been on so far was a tour of the west coast starting in Seattle and ending in San Jose, CA. The only firm plans were getting to Seattle and coming home from San Jose. Everything in between was totally made up along the way. It was perfect. Lazy, relaxed, and open to any possibilities. And since we'll have such great hosts/tour guides, they'll know all the fun places to go. Now, if I can magically make our passports appear at our house in time, everything will be set and ready. I hope the passport genies can make that happen or are willing to work with me for expedited service. Fingers crossed.